Why choose winter as the perfect season for your wedding? For a variety of reason, a winter wedding might be the best choice for you. For one, a winter wonderland theme could be your childhood-wedding-fantasy come true. Two, wedding costs are low. Since Christmas and winter is literally in the air, the ideas you have in mind are easily available and versatile. Three, the snowy environment is a great wedding ceremony and reception view and good for photos. The wintry weather, given the right look, can create magic to your wedding ceremony and reception. 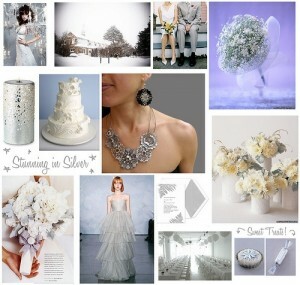 Light blue and silver are great wedding theme colors that go well with the white winter snow. If you are a dynamic pair, gold, burnt orange or red are great choices. You can also use various things that are unique such as having a wreath for a bridal bouquet or icicle tree centerpieces. Due to the cold season, most of the ceremonies and receptions for winter weddings are held indoors. Make sure that your selected areas are well-heated, cozy and warm. The venue should also be conducive for your guests despite the elements of the weather. If the budget is tight, there are a lot of alternatives that can still create the effects you want for your wedding. The ideas are limitless for a winter wedding. Choose well!